Planning a getaway to the great outdoors or a romantic weekend? 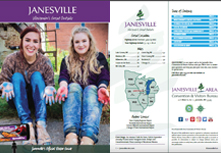 Find the right Janesville WI area hotel, bed & breakfast, craft retreat or campground for you. Check out downtown Janesville for options closer to the heart of Janesville.